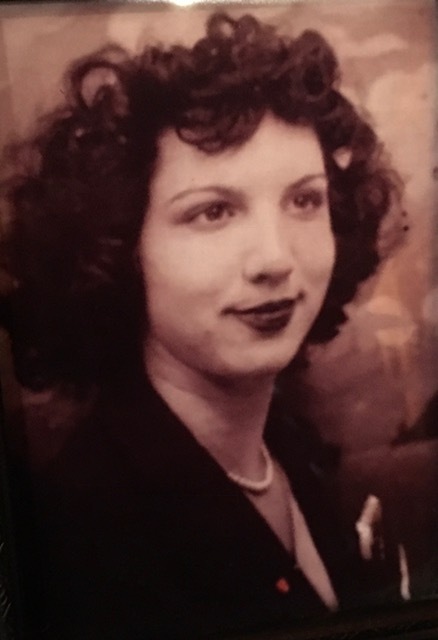 Lebanon, NH – Maddalen Grace Taber, 89, formerly of Newbury, VT succumbed to cancer, surrounded by her large and loving family at the Jack Byrne Center for Palliative & Hospice Care on September 12, 2018. She was born in Waltham, Massachusetts on March 30, 1929 to Carlo & Rosaria Profita. She laid down roots in Groton, VT where she and her husband Donald raised eight children, and ran a general store for years. She lived within the area for the latter half of her life. Maddalen lived her life for her family. Her love for her children and her grandchildren was unquestionable. Her favorite moments in life were those surrounded by her family. She enjoyed dinners on Sundays, and chatting on the phone. No one was more proud of their children than Maddalen. She was quite the bird enthusiast. She would spend her afternoons watching the many different birds of Vermont. Maddalen was predeceased by her parents, her sister and three brothers, her beloved husband, Donald in 2011, and her eldest son, Clifford in 2016. She is survived by her remaining children; Clint of Unity, NH, Bryan and fiancée Jaime of Haverhill, NH, Dawn Polli of West Palm Beach, FL. James of NH, Roy of Haverhill, NH, Tracie Gray and husband David of Harrisburg, PA, and Rosalie Farr and husband Bradley of Haverhill, NH. She also leaves behind several grandchildren and great-grandchildren, who will miss her dearly. The family will hold a private burial service at a later date. In lieu of flowers, the family asks you consider making a donation to the Jack Byrne Center for Palliative & Hospice Care. Their kindness and quality of care is incomparable.